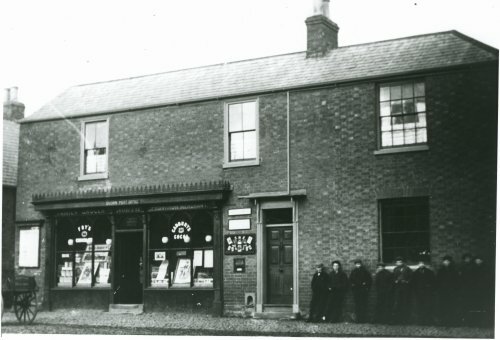 The Post Office was North's at the end of the c19th and his business included selling groceries and pianos. The first official sub Post Office was T Trueman's chandler's business in 1845. Lettering on the window advertises Fry's Chocolate and Cadburys Cocoa.